Deep cleansing, exfoliating, extracting, hydrating and antioxidant treatment in one easy step! Frequently referred to as the “Celebrity Facial” or “The Red Carpet Facial” by the media. HydraFacial MD™ is the only hydradermabrasion procedure that combines cleansing, exfoliation, extraction, hydration and antioxidant protection simultaneously, resulting in clearer, more beautiful skin with no discomfort or downtime. The HydraFacial is a breakthrough technology that deep cleans impurities from the skin through painless extraction of blackheads and debris, fully exfoliates dead skin cells with crystal-free microdermabrasion, and infuses the skin’s surface layers with hydrating, anti-oxidant serums to soothe the skin and optimize its health and appearance. LED light therapy increases cell proliferation and migration (particularly by fibroblasts), increases growth factors and tissue oxygenation, resulting in both anti-aging and anti-acne benefits. Gentle and safe for all skin types, including sensitive skin, the HydraFacial is typically used in conjunction with other treatments such as Lasers, IPL, Radiofrequency Skin Tightening, and Microneedling procedures and Medical Grade Skincare. DermaBuilder™ Peptide Complex (DermaBuilder™): THE new, hot age-refining solution right now! The DermaBuilder™ helps to improve the appearance of fine lines and wrinkles, skin firmness, skin tone and skin texture. Beta-HD™ Skin Solution: This Salicylic Acid based skin solution is specifically designed for acne-prone and oily skin. It softens sebum, dislodges skin debris and aids in painless extractions of whiteheads and blackheads. Antiox+ Skin Solution: Containing Vitamin A, Vitamin E, White Tea Extract and Hyaluronic Acid, the Antiox-6™ is designed for overall antioxdiant protection and deep hydration on most skin types. Britenol: Alpha-Arbutin-Derived from bearberry extract, this powerful ingredient will help reduce the appearance of dark spots, leaving skin with a more even tone, and Vitamin C- a powerful antioxidant and a natural exfoliator that brightens and clarifies the skin. Also Available with the Ultimate Hydrafacial service, or as an add on: CTGF™ (Connective Tissue Growth Factor): -CTGF™ is a Vortex-Booster™ in the HydraFacial MD® Treatment that will minimize the appearance of fine lines and wrinkles. With naturally derived growth factors being the main ingredient in CTGF™, skin health and vitality will improve overall and skin will be brought back to its youthful state. Naturally occurring Growth Factors have been captured and sealed into this formula This potent vial is an excellent choice especially for those with prematurely aged or damaged skin. Can be customized for all skin types. Includes an intensive cleansing, pore extraction, mask and massage along with a moisturizing hand and arm treatment. This classic treatment will leave the skin looking and feeling completely renewed. Includes a tension relieving massage of the neck and shoulders. Education and Facial in One! Cleansed, exfoliated, steamed and relaxed. Extractions and a consult are performed. Appropriate for both young men and women. Many of us will experience some clogged pores and breakout on our backs at certain times of the year. A back facial treatment will help to cleanse and exfoliate the skin, while treating any congestion and reveal brighter and smoother skin. Customized product is applied to clarify and hydrate. The perfect lunchtime peel for all skin types. This peel helps to improve the overall skin tone and texture while diminishing the appearance of fine lines. Rejuvenate your skin with this mixed blend of acids and get your skin glowing again! An active blend of lactic, salicylic and glycolic acids softens impacted follicles, controls oil production and reduces breakouts. It also improves the overall texture and clarity of the skin. Experience a radiant, more even skin tone and texture with Citric, Salicylic and Lactic acids to increase skin brightness and minimize pores. Begins with the ZO Ossential Stimulator peel followed by moisture-rich and vitamin-fortified products to restore skin clarity. This is an advanced and relaxing treatment all in one. Hydrate and rejuvenate your moisture depleted skin with this elegant treatment. Includes the Ossential Stimulator Peel followed by Aloe, Cucumber, and Chamomile rich products to nourish your skin back to health. A deep-pore medicated cleansing treatment for Oily or Acneic skin. Includes the Ossential Stimulator Peel, followed by Aloe and Sulfur masques to absorb the surface oils and prevent clogged pores. This is and all in one advanced and relaxing treatment. 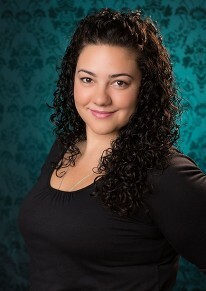 Jamileh received her teaching certificate and esthetician license in skin care and in permanent makeup in 2001. 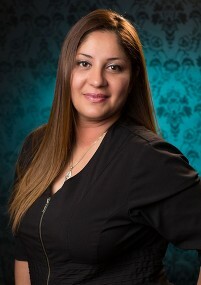 Since January of 2007 she has practiced permanent cosmetics, skin care and eyelash extensions and she holds a Board of Health certification for permanent cosmetics since 2006. She has also been a professional threader (hair removal) since the age of 8. Jamileh performs all levels of Spa facials and services, Lash Extensions, Viora Skin Tightening, Pellevé® Skin Tightening, Velashape cellulite treatments, and TruSculpt 3D body contouring sessions. She is also one of our Certified Ultherapists at Renew, working closely with Dr. Vuich and with Beth Wagner, RN to design the best treatment protocol for each Ultherapy client. Felicia is a 1200 hour Master Esthetics graduate of Catherine Hinds Institute where she finished at the top of her class. Her passion and professionalism keep her on the cutting edge of the Esthetics Industry. She specializes in treatments ranging from relaxing spa facials to medical grade peels and many of our body contouring services. Felicia performs many of our consultations regarding evaluation for body contouring procedures, matching the goals and needs of each client to the technology best able to meet those needs. Felicia also has extensive knowledge of numerous skin care product lines. 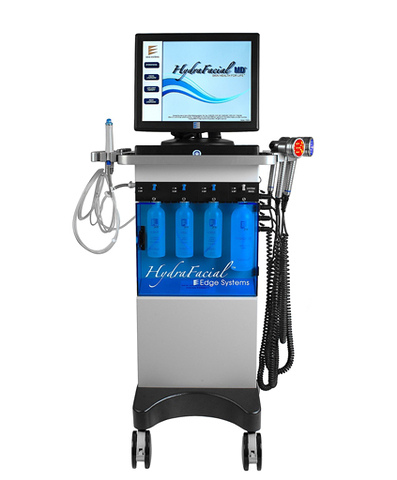 If you’re interested in learning more about HydraFacial, call us today to schedule your appointment.